Maruti Suzuki had launched the Baleno Hot hatch in the Indian market three years ago. With this, it was the second model from Maruti that is being retailed from the Nexa Showroom. Since its launch in the Indian market, the Baleno has been giving a tough competition to its rivals and with this, the waiting period for the Baleno has also crossed over three months. 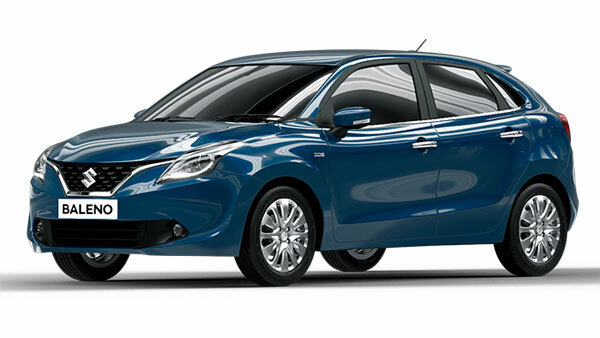 With the growth in competition in its segment, Maruti has now launched the facelift of the Baleno at a starting price of Rs 5.45 lakh (Ex-Showroom, Delhi). Aesthetically, the Baleno Facelift is offered with a very aggressive front end giving it a sporty look for this hot hatch. Upfront it gets newly design bumper, the front grille gets a 3D design and the headlight unit now is offered with LED Projector lamps along with LED Daytime Running Lights (DRL’s). This setup will now be standard right from the Delta trim level onwards to the top spec trim level. In addition to the revised face of the new Baleno, this hatchback will now run on new dual tone 16-inch alloy wheels which also gives the exterior a good appeal. That's all for the exteriors, let's step into the cabin and have a look a what the changes that offered on the interiors. Maruti Suzuki has offered the interiors of this hatchback with a dual tone of the black and blue interior scheme in the cabin. In terms of modern features and technology, the Baleno facelift now comes equipped with a new 7.0-inch touchscreen infotainment unit which has been co-developed by SmartPlay and Harman and it is compatible with Android Auto and Apple CarPlay. It also gets voice recognition functions, it also doubles up as a display for the rear parking camera and it also gets built-in navigation. The safety package is also updated with the inclusion of rear parking sensors which will be standard across all the variants and it also gets speed alert warning and seatbelt reminder system. Mechanically, Maruti Suzuki hasn't offered any changes and it is powered by the same engine options. the 1.2-litre petrol mill churns out 83 bhp of power while the 1.3-litre diesel motor generates 75 bhp of power. Both the engine is mated with a five-speed manual gearbox but only the petrol mill is coupled with an optional CVT automatic unit. As of now, in the Indian automotive market, Kia Motors is the much-awaited brand to make a new entry. With Kia Motors entering into the Indian automotive market it will first launch the SP2i SUV. The manufacturing facility for Kia Motors is getting ready in the state Andhra Pradesh. And now we also get to know some things about the first model that Kia will be launching in India. According to the spy shots, we get to know that the SUV is heavily camouflaged which covers the fine details of it. The SP2i seems to be a D-segment SUV and with this, Kia Motors will be entering the Indian market with the top-down approach. This SUV seen in the spy shots is based on Kia's SP concept which was first revealed at the 2018 Indian Auto Expo. this concept which was showcased has all the latest hallmarks from the latest design language from Kia Motors. If we compare the concept model with the current spy shots, the latter gets the same Tiger nose front grille, silver coloured elements and sleek headlamp units. As of now, the mechanical part is still not clear. It is expected that Kia will power the SP2i SUV with their 1.5-litre petrol and 1.5-litre diesel unit. Both the engines will be paired with a manual gearbox and it will also get an optional automatic gearbox. Kia Motors has kickstarted the trial production of the SP2i some while ago. This will allow Kia Motors to synchronize with the manufacturing of the equipment and it will also follow with the process of the production of this SUV before its official launch. Now that the production facility has been up and all running, it is expected that Kia Motors will officially commence with the production of the SUV in the second half of 2019. It is estimated that Kia Motor will be producing approximately three lakh units per year. The Nano was launched in the Indian market as the most affordable car by Tata Motors in the year 2009. After these many years, Tata Motors has now officially announced that they will be ending the sales of its most iconic hatchback by April 2020. When Tata Motors had launched the Nano in the Indian market, it was labelled as the people car. But according to the sale number, the Tata Nano is struggling a lot in these years which in terms shows the poor sale number. In addition to this, the Indian manufacturer has also stated that upgrading the Nano to meet the safety and emission norms will end up in a very costly affair. Hence the vehicle in its current form cannot be produced beyond 2019 and therefore we will see an end of this affordable hatchback. When launched back in 2009, it was the most awaited hatchback and it caught global news. Over the years the Indian car manufacturer provided some fresh updates to the Nano. The last iteration that this hatchback received was known as the Nano GenX. And this model was equipped with a new headlight unit and it also was housed with an updated front bumper. Although Tata Motors will be discontinuing the Nano, the Indian manufacturers will be working on two modern platforms which are known as the ALFA and the OMEGA for its future models which will be launched. The sale number of the Nano have so drastically fallen down that only three units were sold back in the year 2018. Also, there were no exports of the same. As of now, the competition in the entry-level segment has increased a lot. And the options for customers to choose from have also become diverse. If the Nano is upgraded the cost will also become high which will not be viable for Tata Motors. When we speak about the off-road vehicles in the Indian market, the first thing that comes in mind is the Mahindra Thar. Its now been some time that the Indian manufacturer hasn't updated its most beloved off-road machine. As per some reports, we get to know that Mahindra is now working on the next generation Thar and we expect that the Indian manufacturer will launch it somewhere around the second half of 2019. The next generation Mahindra Thar is currently being developed to meet the latest crash test norms. For this, the new model Thar will be equipped with safety features such as a driver side airbag, ABS and rear parking sensors. Also, the Gen3 chassis that the next-gen Thar is being built underpins the latest TUV and Scorpio from Mahindra’s stable. Hence this chassis is tried and tested and is fully crash compliant. Powering the next generation Thar will be a new 2.0-litre diesel unit from Mahindra will be compatible with the BS-VI emission norms. As of now, the Mahindra powers the Thar with a 2.5-litre diesel unit but it fails to meet the upcoming emission norms. The upcoming new 2.0-litre oil burner will be able to churn out 140 bhp of power and 300 Nm of twist. If we compare these to the power output figures with the current engine we can see a sign the increase as the 2.5-litre pot just generates 105 bhp of power and 247Nm of torque. With this increase in both power and torque, its a treat for all off-road enthusiasts as they will be able to take this beast on difficult and rough terrains and conquer it. With this, the Mahindra Thar will now be offering tough competition to its arch-rival the Force Gurkha in terms of performance. Force has updated the Gurkha with the new 2.2-litre diesel engine which is sourced from Mercedes-Benz and it puts out 140 bhp of power and 321 Nm of twist. It is also expected that Mahindra will soon boost up the diesel engine for more power output in a later stage. And according to some rumours, it also seems that it will be power the XUV500 too. That's all about the mechanical part, but that's not all. In addition to the new engine, Mahindra is also working and developing the drivability and comfort of the Thar. This is being done with the upgrade of the new suspension on the front and larger dimensions with a wider track. In terms of the aesthetic and design not much has been revealed. But according to some rumours, we get to know that the Thar will be offered with a much modern approach not compromising on the original character of the offroader. Although the drivability, power and comfort have been upgraded on the next gen Thar, the off-road ability might not be as same as the current model. This is because Mahindra is building the next gen Thar on the Gen3 chassis. This new chassis has ten per cent less wheel articulation in comparison with the chassis of the current model Thar. But the engineers at Mahindra are working hard to overcome this problem.